Greetings from New Orleans. 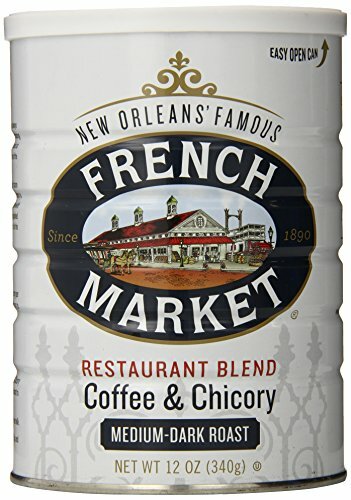 In 1890, the first can of French Market Coffee and Chicory roasted, blended and packaged. The Bartlett and Dodge families, incorporated as the American Coffee Company, moved that famous coffee to 800 Magazine Street in 1941. In this post-Katrina age of fascination with our city and its history, we recognize the strength of our 117 years of calling New Orleans home. Our customers are fiercely loyal, both individually and institutionally. We are enjoyed in the iconic restaurants of a city known for its cuisine. This "Who We Are" is part of what inspires the loyalty we strive to live up to day after day and year after year. A family company in every sense of the word, we've been fortunate enough to keep our employees with us for years some have even stuck with us for decades. If you have any questions about this product by French Market Coffee, contact us by completing and submitting the form below. If you are looking for a specif part number, please include it with your message.